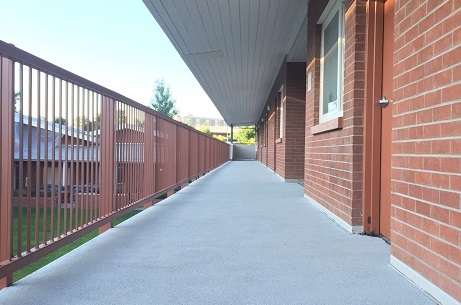 Our sustainable surfacing systems are perfect for rooftops, decks, and patios. 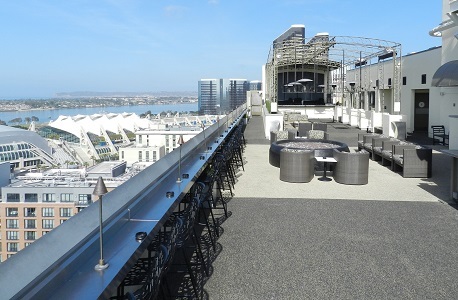 Unused and unkempt rooftops can be transformed into beautiful recreational areas, a particularly valuable commodity in dense urban zones with limited space. 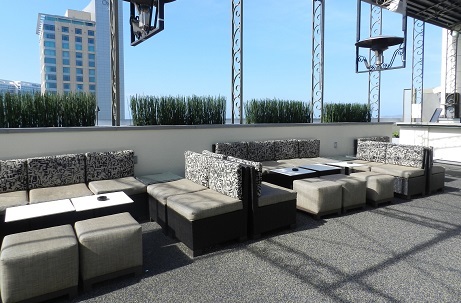 Rubberway, our line of poured in place rubber surfacing products, has been installed on hotel rooftops to create safe, non-slip rubber floors that also provide sound dampening to the guest rooms below. Rubberway is also used to create cool roofs that combat the urban heat island effect and earn LEED credits by reflecting the suns rays and keeping the building and the city cooler. 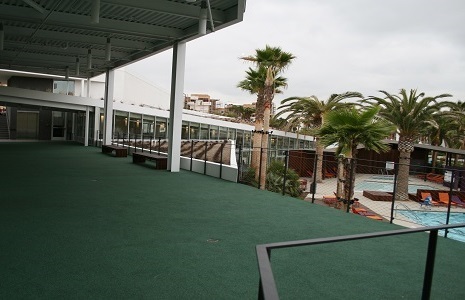 PolyTurf artificial grass provides a low maintenance, water free option for modern rooftops and patios. 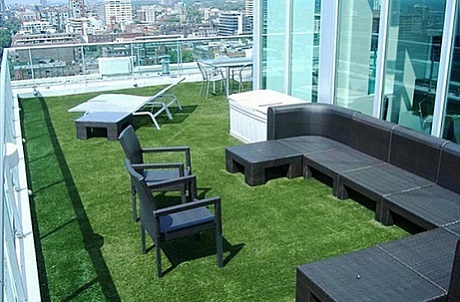 Putting greens, bocce ball courts, or simply a lush green lawn to spread out a picnic on can add immense value to residential high rises and office buildings. 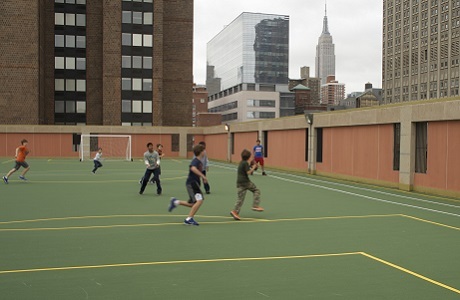 Rooftop playgrounds and recreational areas are very popular in dense urban areas and can provide a beautiful play space for children and students. How about that patio or deck that needs painting every year? Cover it with a nice bright, custom rubber surface and forget about it for the next five or ten years. If you have an idea and aren't sure about it, give us a call and one of our experienced and knowledgeable staff members will be happy to discuss it with you to determine the practicality.